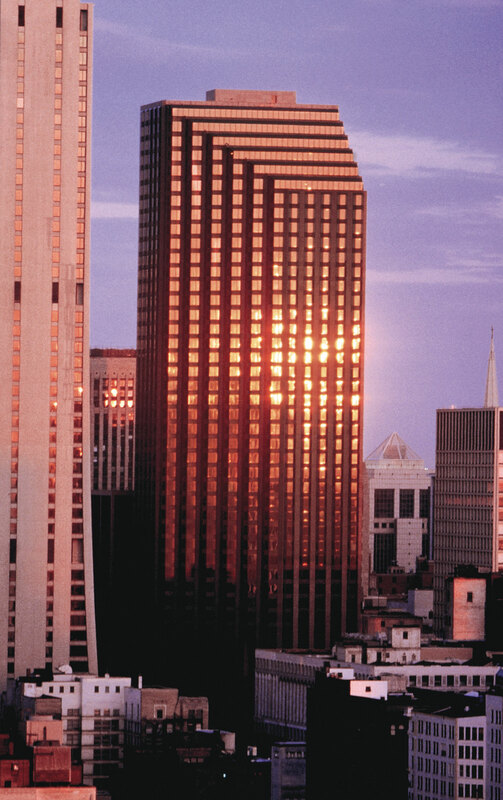 Three First National Plaza, located in the center of Chicago's business and financial community, is a 57-story office tower. The 1.4 million-square-foot faceted tower is clad in Carnelian granite and tinted glass, making a significant impact upon Chicago's skyline. 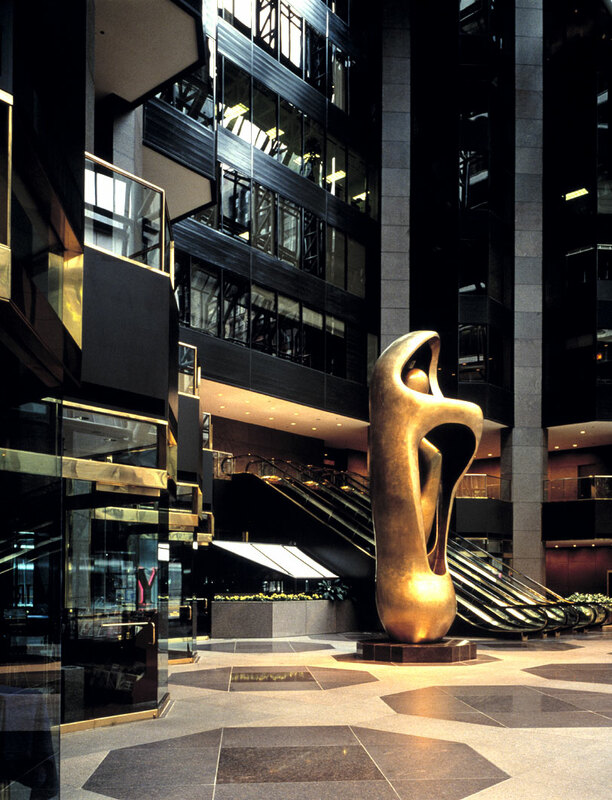 At street level, there is a nine-story glass atrium featuring Henry Moore's highly acclaimed sculpture "Large Upright Internal/External Form." In the lower levels at Three First National Plaza, the saw-toothed design of the building creates floors that offer 34,000 square feet of contiguous space and 13 corner offices. 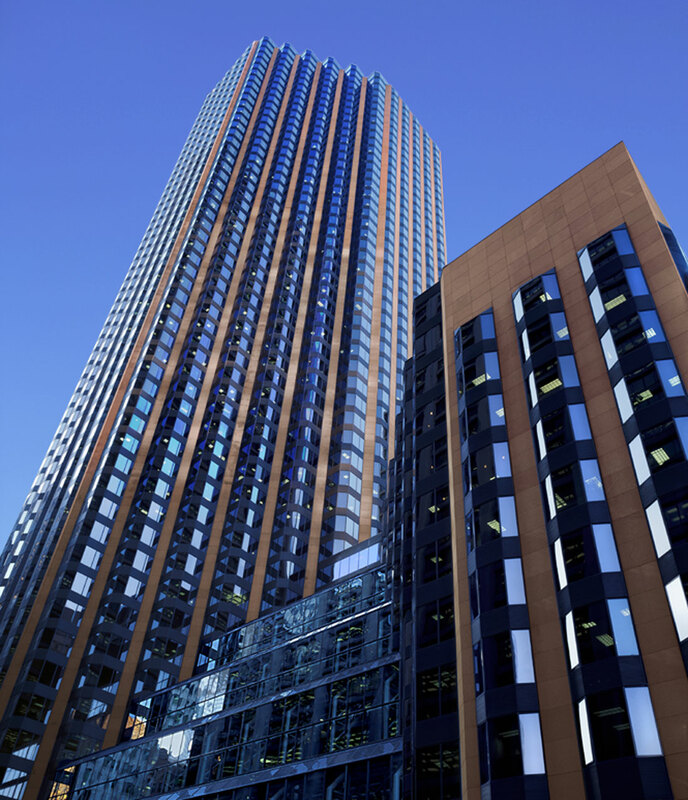 The upper levels contain an average of 23,000 square feet with nine corner offices per floor. 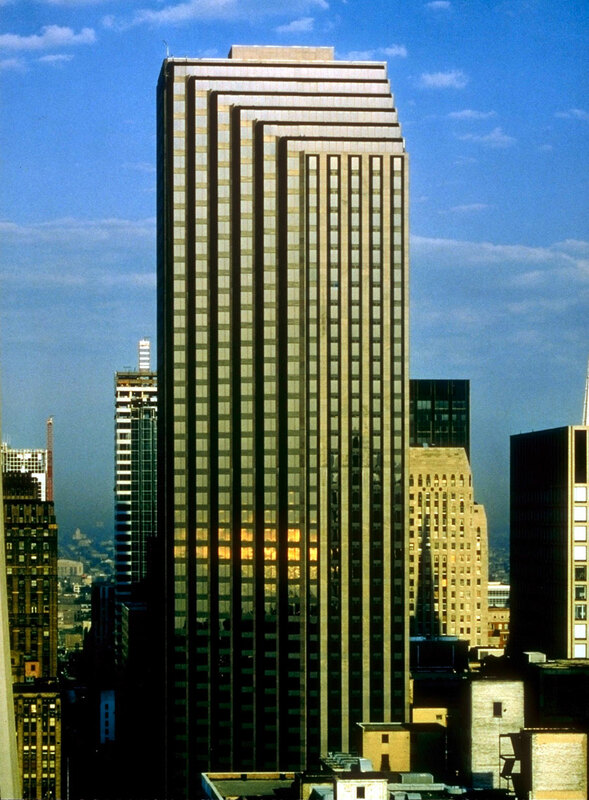 Designed by Skidmore, Owings & Merrill, the building was completed in 1981.